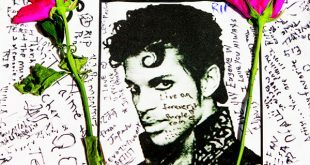 MINNEAPOLIS, April 24, (Agencies): Some of Prince’s “most beloved” family, friends and musicians celebrated his life in a small, private service on Saturday after his remains had been cremated. His publicist Yvette Noel-Schure said in a statement that the 57-year-old music superstar’s family and friends gathered “in a private, beautiful ceremony” to say a loving goodbye. 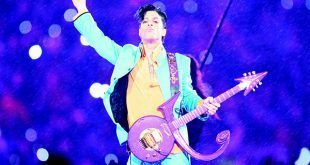 The statement did not say where the service was held, but friends such as percussionist Sheila E. and bassist Larry Graham were seen Saturday entering Prince’s suburban Minneapolis estate, Paisley Park. Prince’s sister Tyka Nelson and brother-in-law Maurice Phillips also were seen on the grounds, as were catering trucks. Hundreds of fans were gathered outside the estate, where a security fence was covered with purple balloons, flowers, signs and more honoring Prince, who both lived and recorded there. People emerged from the estate and handed out round purple boxes to some fans. Each box contained a handout with a color photo of the late musician and a black T-shirt with “3121” printed on it in white — the numbers were the title of a Prince album. Prince was found unresponsive in an elevator Thursday at Paisley Park, and an autopsy was done Friday. But authorities have not released a cause of death and have said results could take days or weeks. The statement said the “final storage” of Prince’s remains would be private and that a musical celebration would be held at a future date. Prince was last seen alive by an acquaintance who dropped him off at Paisley Park at 8:00 pm Wednesday, according to Carver County Sheriff Jim Olson. The “Purple Rain” star, born Prince Rogers Nelson, was found by staff members who went to the compound in Chanhassen, about 20 miles outside Minneapolis, the next morning when they couldn’t reach him by phone. Emergency crews who answered the 911 call could not revive Prince, the sheriff said. Celebrity website TMZ, citing unidentified sources, has reported that Prince was treated for an overdose of the powerful painkiller Percocet while traveling home from concerts in Atlanta last week. The site said his plane made an emergency landing April 15 in Moline, Illinois, where he was briefly hospitalized. Representatives for Prince have not responded to requests from The Associated Press for comment on the reports of the emergency landing and overdose treatment, and Saturday’s statement from his publicist did not address them. Olson, the sheriff, and a medical examiner’s office spokeswoman declined Friday to say whether prescription drugs were taken from the home after his death. Olson did say emergency workers did not administer Narcan, a drug they carry to counteract overdoses, when they responded to Paisley Park. Prince’s death came two weeks after he canceled concerts in Atlanta, saying he wasn’t feeling well. He played a pair of makeup shows April 14 in that city, apologizing to the crowd shortly after coming on stage. Bob Dylan left Minnesota, but Prince never did. When the music superstar died at age 57, it was in the same suburban Minneapolis studio compound where he had lived for years. He could have opted for the glamour of either coast but stayed home, where fans occasionally saw him in local nightclubs, a record store, or just bicycling near Paisley Park. “He was everything here,” said Mark Anderson, 43, a longtime fan who estimated he saw at least 30 Prince shows and would bring his teenage son from nearby Eagan to see Prince’s occasional late-night jams at Paisley Park. “He was more than a musician. He was family. 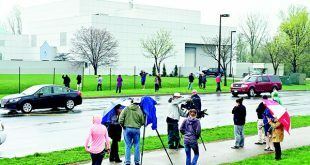 Crowds continued flocking Saturday to pay respects at Paisley Park. Prince’s fame made Minnesota feel good about itself. In the wake of his death, fans here have recalled how the Oscar and seven-time Grammy winner put the sleek “Minneapolis Sound” of the 1980s on the national music map. “When you think of Minneapolis, you automatically think of Prince”, said Jen Boyles, 37, a longtime Twin Cities music journalist. St Paul Mayor Chris Coleman was among thousands that turned up Thursday night outside of First Avenue, the downtown Minneapolis nightclub Prince made famous with his hit 1984 movie “Purple Rain” and where part of the movie was set and filmed. “Think about what Prince has meant to so many people across the globe, not to mention folks in the Twin Cities”, Coleman told the Star Tribune. “Prince made us cool. Prince really made his mark from here”. Prince was legendarily prolific over his four-decade career and even death may not stop him, with the pop icon storing a massive stash of unreleased work in his vaults. But the question of who decides on future releases will not be simple as Prince, who died suddenly Thursday at age 57, had no known children, no current spouse, no living parents and fiercely guarded his own creative control like few other artists. The Purple One possessed an insatiable appetite to make music, even giving pagers to his backup musicians and keeping engineers on shifts so he could record at any time of day in sessions that could last more than 24 hours straight. Prince, in a 2014 interview with Rolling Stone that was only published after his death, not only confirmed a long-rumored vault of music at his Paisley Park compound in Minnesota, but said he had several of them. Prince said he kept a “ton of stuff” in the vaults, including full unreleased albums, among them two made with The Revolution, his funky and diverse band with which he made the classic “Purple Rain”. As with so much about Prince, his rationale kept people guessing. Three feature films, an Oscar — and several Razzies. Prince’s film career blazed brightly but briefly compared to his 40-year reign in music, even if he left his mark on Hollywood with countless movie and television soundtracks. Like many other music stars from Madonna to David Bowie and Michael Jackson, Prince’s time in front of and behind the camera left a very faint trace compared to his huge impact in the music studio and on stage. 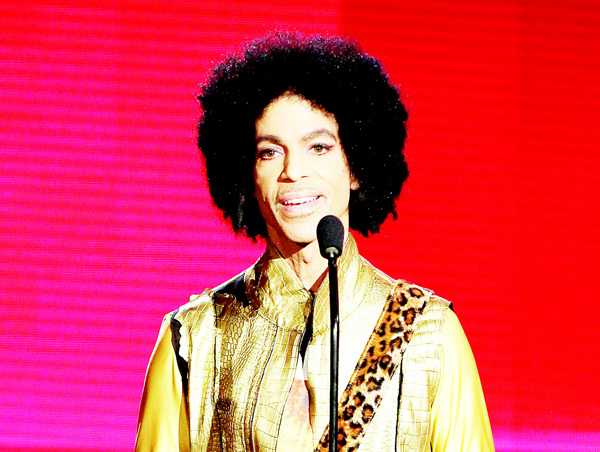 From the success of “Purple Rain” in 1984 to the failures of “Under the Cherry Moon” (1986) and “Graffiti Bridge” (1990), Prince’s film career lasted a mere six years. But he racked up an Oscar and a Golden Globe — as well as a handful of Razzie Awards, the satirical prizes handed out to the worst film performances. Photogenic, flamboyant, adept at playing sexual and androgynous roles in videos and during his stage performances, Prince Rogers Nelson wanted to be in film very early in his career. “Prince’s films and videos add up to one long, fascinating post-modern striptease, all knowing smiles and salacious glances at the camera, showing everything but revealing nothing,” The Hollywood Reporter wrote this week, shortly after his death at age 57. 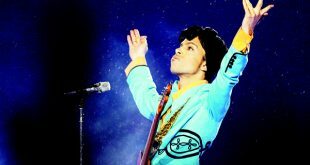 Pop icon leaves protege legacy – Who will step forward to claim Prince’s millions?